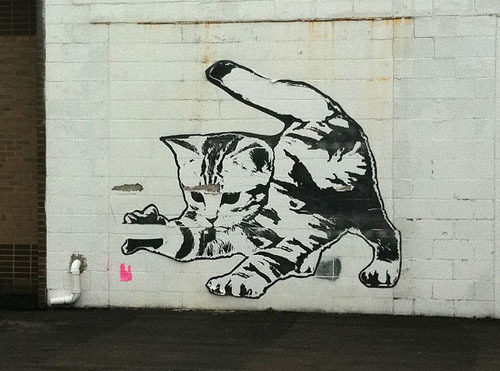 I spotted this giant kitty mural on the side of a Monroe Muffler. That's a little pink kitty under it's paw. I thought maybe Banksy was in Rochester.